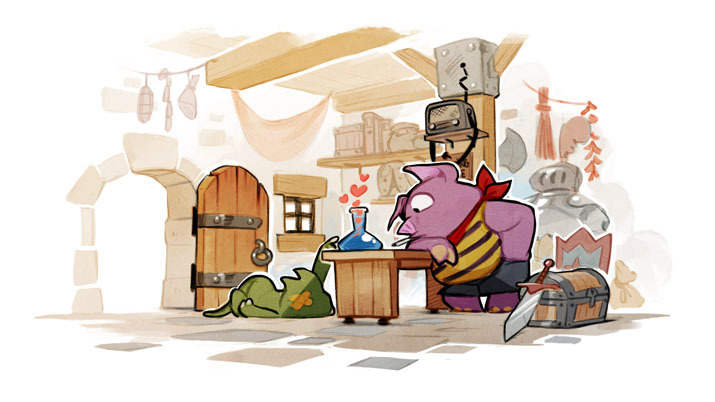 Originally a 1986 platformer, Wonder Boy: The Dragon’s Trap brings us back to a time of wonder and excitement – the roots of gaming. It takes the elements of gaming in the 80’s and early 90’s, and brings them back to life in the modern age. 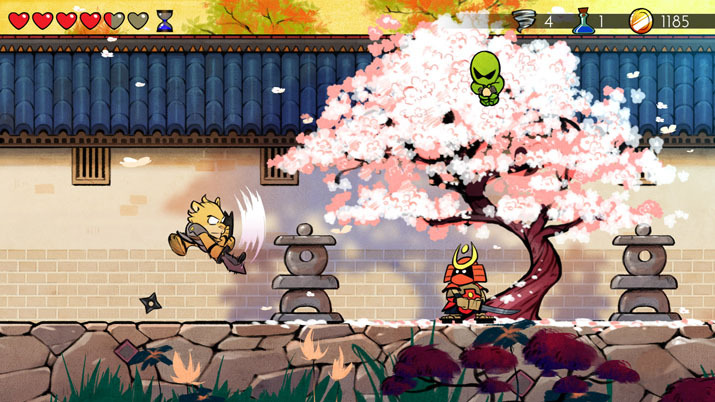 Lizardcube, Wonder Boy’s developer, gave us everything we long for in a remake by keeping what we loved the same and simply giving the classic game a physical facelift to update and bring it into the 21st century. For those of you that didn’t get the pleasure of playing Wonder Boy in the 80’s, the story is much like an adapted version of Kirby meets The Amazing Spider-Man. You become cursed by a mysterious spell that mutates your human character into a lizard-man. In search for a cure, you explore the world of Monster Land and along the way, turn into a Mouse-Man, Piranha-Man, Lion-Man, and Hawk-Man before you make your way back to a Hu-Man. Each of these characters has a unique ability that helps you beat levels and advance further in the world of Monster Land. After each level, much like the timeless classics, you battle a boss who transforms you into your next mutated form and brings you one step closer to returning back to your human form. Much like similar retro titles, the lack of a storyline leaves the emphasis on gameplay. Instead of levels like a typical platformer, you play through a huge interconnected world. The village is the hub, or main area where you can explore other areas such as the Beach, the Canyon and the Desert. However, since the levels are interconnected, once you reach the end of one of these areas, and ultimately the end of the level, you have to play through the level backwards to return to the Village and navigate to the next area of exploration. This is an interesting aspect that brings Monster Land to life, however it can be frustrating to have to make this trek after a grueling battle with a boss, particularly for the longer and harder levels. You can avoid this extended travel though if you simply return to the title screen and reopen your saved game. This way, you are automatically teleported to the Village and can immediately go to the next area level. This however, can be time consuming and breaks the flow of the storyline. One of the best things about the remake is the graphics. The world of Monster Land and the characters that inhabit it are hand-drawn and provide gorgeous visuals that fit perfectly in the castle-y fantasy land. It is a huge upgrade from the original 1986 graphics and turns the game into an immersive graphic novel. However, if you do miss the old school feel, you can simply click a button to bring it back. The feature is nice, if you need to scratch your nostalgic itch by playing in 8-bit graphics and audio. Also added is the ability to play as either a male or a female human. However, the femininity of the character is lost in the first 5 minutes of the story, when you transfer into one of the animal forms. It would have been great if the female character mutated into a lizard-woman or had some other distinguishing feature from the male character. Otherwise, there is little reason to have the option to pick your gender. Another feature missing is the customization of weapons, armor, and shields. Throughout your journey in Monster Land, you come across different shops that will sell you different types of weapon and protection that increase your attack or defense level and sometimes give you special capabilities such as the ability to walk through lava, an increased rate of items dropped by enemies, or the ability to smash rocks. And although these different items make you strive to collect coins and replay levels, the items aren’t visually distinguishable.